Here are four Christmas themed decor decorations you can use to make the holiday season more exciting for you and your family! Christmas is considered to be the most wonderful time of the year for good reason. It involves getting together with family, exchanging presents, eating delicious food and having a grand celebration. In order to make the most out of the holidays, it’s important to get into the Christmas spirit. 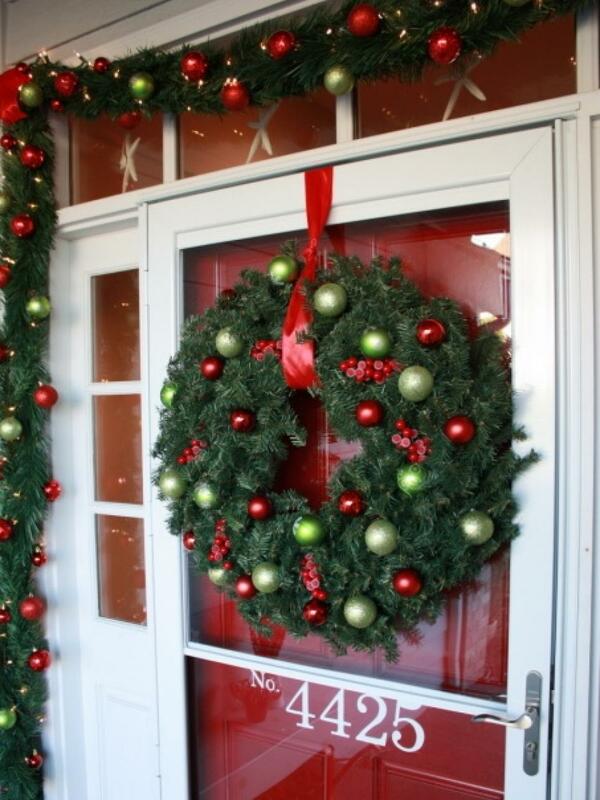 One of the easiest ways to make your home look festive is by adding a Christmas door decoration. Since it’s the main entrance to your house, it’s the first thing you see when you walk in. Just by using a simple Christmas door decoration, you will be able to achieve a festive vibe throughout your entire home. You can easily purchase wreaths which are easily available in various malls and establishments. Choose colors which are vibrant and full of life to make your door look more inviting. 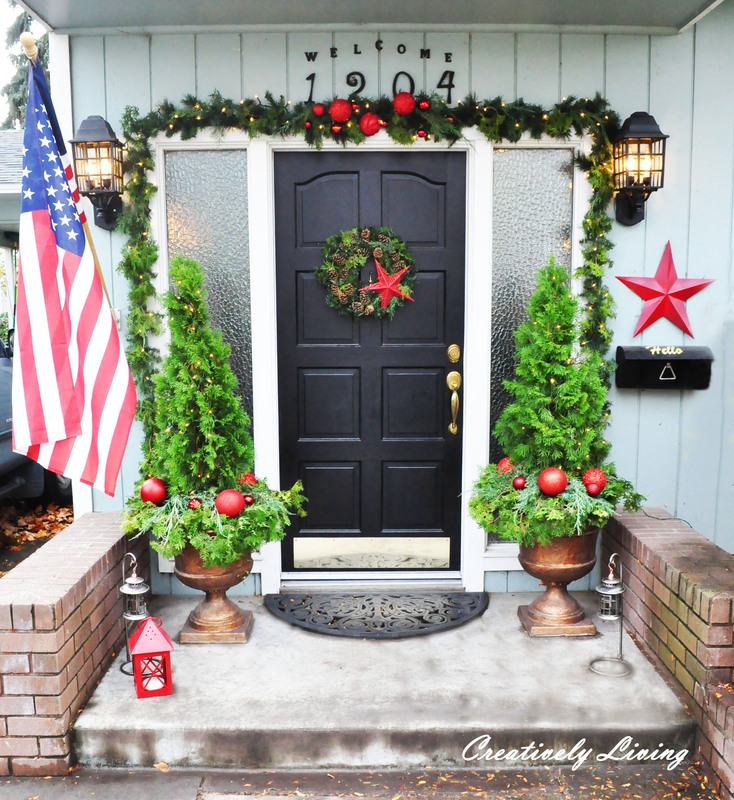 Following the outlines of your door, you can add a garland to complete the festive look. By hanging various festive leaves to the garland, it will make it look more realistic. You can also use empty gift boxes which are neatly placed in front of the door with Christmas wrapping paper. An exciting way to spice up your Christmas door decoration for the upcoming holidays is by adding Christmas trees. You can easily purchase smaller sized Christmas trees which will perfectly fit your front porch. Choose a wreath decked out with acorns to achieve a jolly and cheerful vibe. You can also add a large star decoration to make it more interesting. Add a garland on the surrounding area of your door and use Christmas lights to wrap all around it. By adding baubles to the center part of the garland, it will achieve a more polished overall look for your front door. 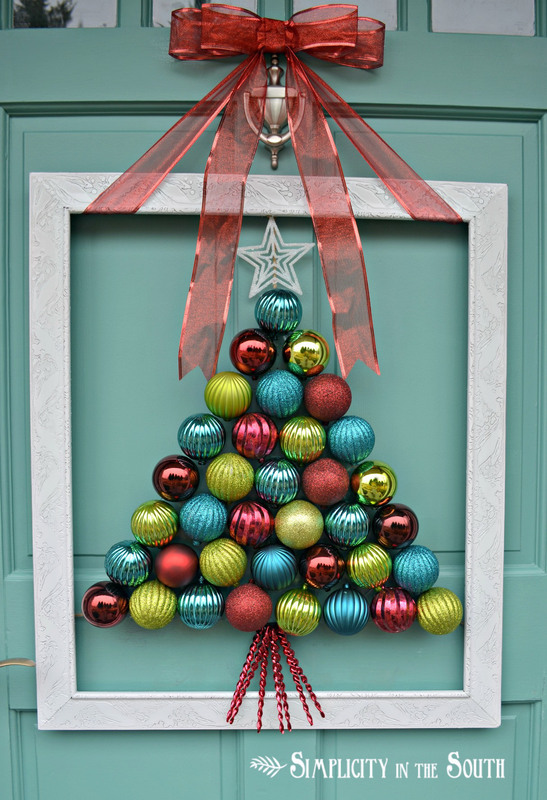 An incredible way to make your Christmas door decoration look more unique is by using baubles to create a Christmas tree. All you have to do is to take multi-colored Christmas baubles and use it to install an image of a Christmas tree. You can reuse the baubles you’ve purchased in the previous year or opt to purchase new ones for a new color scheme. To complete your Christmas tree, place a star topper on the highest part of the baubles. Add some swirly metal decor pieces and position them in an upright motion to imitate the look of the tree trunk. Add a bow using some ribbon to complete the festive look. One of the easiest ways to achieve a beautiful Christmas door decoration without having to spend a lot of money is to reuse your old decor items. All you will be needing is a garland, wreath, baubles, ribbons and some Christmas lights. 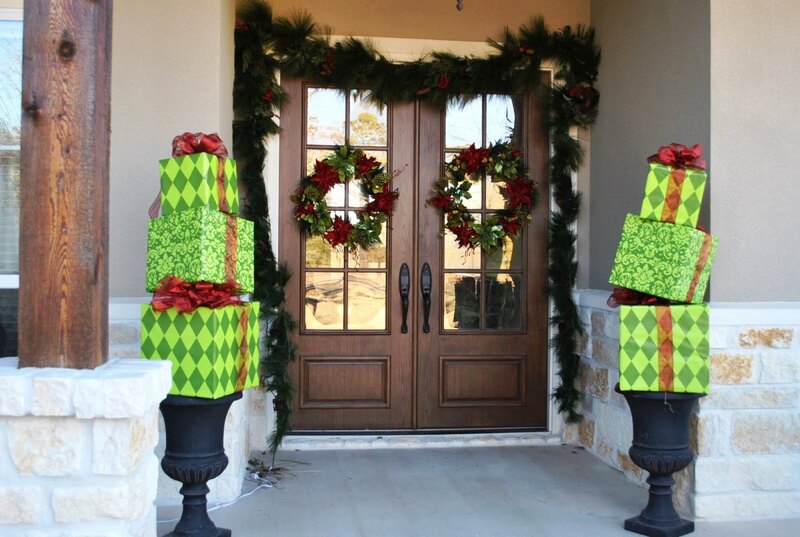 Following the outlines of your front door, install the garland to make your house look more festive. Then, using the baubles of your choice, hang them one by one throughout the entire garland. Make sure to leave some space between the baubles. Then, add some Christmas lights so that it could light up your front door at night. Hang the wreath on your front door and use a ribbon to secure it in place. Finally, add some baubles to the wreath and hang any other additional decor you would like to add.